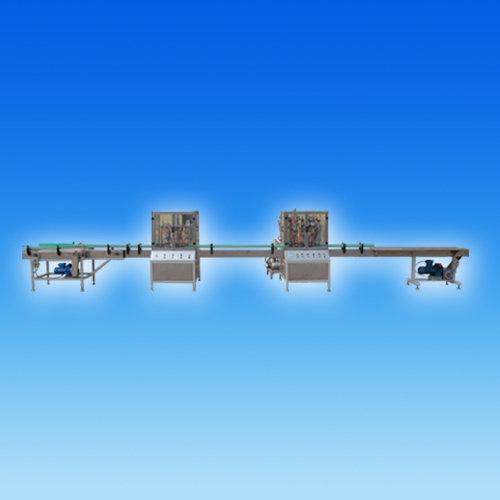 QG-HA type fully automatic aerosol filling machine consjsts of a rotary can stacking machine, a fully automatic blower, a fully automatic evacuator, a sealing machine, a gas filling machine and a conveyor belt. It can continuously complete cylinder cylinder feeding, blowing , and evacuation, sealing and filling automatically. The productivity is 30-40 cans per minute. The machine features high productivity, safety and reliability, simple operation and convenient maintenance. Its main technical indices have all reached the level of foreign products of its kind.